After decades and many attempts to silence Dr. Burzynski and his cancer-curing techniques, the Texas Medical Board and the Western medical establishment are again forced to see their case thrown out. Dead silence is all that remains, over a week since the Texas Medical Board was forced to drop their case against Dr. Stanislaw Burzynski. Other than a couple random small-town newspapers, a questionable blog and Saturday’s opinion piece in a tiny Canadian regular, no one in the media has been willing to touch the news that, yet again, all charges were dismissed against a certain doctor that has literally and successfully cured cancer on many occasions. A multi-billion dollar a year gravy-train is on the line and the establishment’s puppet-media cannot allow everyone to catch on to the fact that many other forms of disease treatment exist and have typically proven to be far more effective than what is (allowed to be) prescribed by Western-trained medical practitioners. Sandi Kavanagh, for instance, a 48 year old woman from Crystal Lake, IL., was diagnosed in January with an aggressive form of brain cancer, known as Glioblastoma multiforme (GBM). As with the vast majority of cancer patients, Kavanagh’s cancer did not respond to the traditional radiation and chemotherapy that is largely recommended by almost all (Western) doctors as one of the few options they (are allowed to) give their patients, or risk losing their medical license. Refusing to give up, Kavanagh and her family began to research for alternative ways to treat her condition, something people are doing more and more often these days. Realizing that “modern” science had nothing more to offer and unwilling to except that she only had “two to three months to live,” according to typical Western medicine, Kavanagh decided to undergo a treatment she found that treats cancer with Antineoplastons. Remarkably (if you are still new to the idea there are actually real “alternative” cancer cures), Kavanagh reports that an MRI scan revealed her tumor shrank by 33 percent after her first procedure, prompting her to continue with Dr. Burzynski’s miraculous treatments. Mrs. Kavanagh, ecstatic she’s finally found a doctor that is willing to kill cancer cells without killing the rest of her body at the same time, plans to do another scan on December 13, 2012 to continue monitoring her progress. Perhaps not quite as pleasant to discuss, however, is the story of these miracle Antineoplastons and the very rocky road they’ve traveled in order to get where they are today. It begins with the man who first discovered their effectiveness in the treatment of cancer in 1967. Dr. Stanislaw R. Burzynski, M.D., Ph.D., was the physician and biochemist researcher responsible for identifying natural occurring peptides and amino acid derivatives, or “Antineoplastons,” as he later named them, in the human body. Relentlessly, the FDA, who had previously warned the judge that making such a ruling would push the government to pursue other remedies, such as seizure, condemnation of the drugs or criminal prosecution, convened grand juries to indict Burzynski in 1985, 1990, 1994, and yet again in 1995. Accepting the word “no” from the sovereign people is something they are simply untrained and unwilling to do. Staggeringly, even as all previous attempts at a grand jury investigation resulted in no indictments, the FDA still conducted another investigation between 1991 and 1993. If history is to repeat itself, as it almost always does, chances are slim this actually represents the end of the US government’s attempt at controlling every aspect of the cancer industry. Especially the parts that actually would have a positive effect on skyrocketing cancer rates and would likely be saving the lives of hundreds of thousands per year, in the United States and many other parts of the world, if left to do their magic. But not only has Dr. Burzynski likely not seen the end of ruthless “government” medical oppression, he is nowhere near the first or only case where creative and caring humanitarian doctors, physicians and researchers have been silenced and their remedies memory-holed in support of a society where diseases are to be the reality and a select few making all the money off of their “treatments” are the cure. Dr. Max Gerson, as one of many more examples, developed his world-famous dietary therapy, the “Gerson Diet,” which has proven to heal many illnesses, among them cancer on thousands of occasions. As a result of his proven success, a US Senate Committee moved to provide funding for research of nutritional cancer therapies. Once again, research was unable to go very far and Dr. Gerson struggled as a medical pioneer because he was persecuted by the medical establishment, due to the fact that his therapy went against conventional medicine and the wisdom passed down by those that wish to keep things going just the way they are. The American Medical Association even lobbied to defeat the passing of the funding measure that ended up being defeated by a mere four votes. It has also been known, since (at least) 1974, that around 60 of the 420 or more “cannabinoids” that exist in THC, attained by smoking and/or orally ingesting marijuana, have proven on many occasions, both privately and through professional research, to have numerous different health benefits. 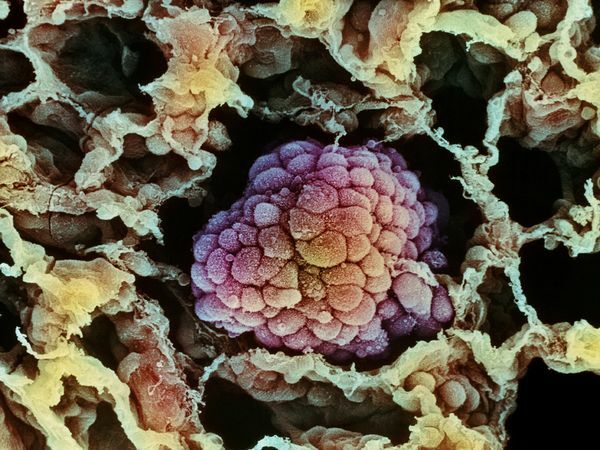 Including reducing the size of cancer tumors and killing most forms of cancer cells, almost every time it’s been tested. Yet, if you ask your local oncologist or look to your local or national news media, it’s as if no one in the government or the world of establishment-based medicine has ever heard of any of these treatments, situations or people, ironically and unfortunately enough. The bottom line is this; if it’s owned or patented by a private individual, or can’t be patented at all, and can be used to cure cancer especially, you are not going to be allowed to practice your craft or use the technique or substance as a treatment and especially call it a “cure,” as long as the medical establishment and its puppet FDA can help it, thus far, at all costs and by any means necessary. The unfortunate truth for the establishment and, therefore, the people is and always will be, there’s no money in the cure. Aren't people suppose to be happy that this alternative treatments to cancer does work? I salute doctors like Dr. Burzynski who shares their knowledge it and still continue to stand for it even though they have detractors.